At Gateaway, we provide you professional advice and wealth management services to help you and your family achieve your financial dreams and goals. 4) Recommendations - We present comprehensive and detailed recommendations and explain scenarios and key assumptions. 5) Implementation - Once and action plan is agreed, we work with you to put recommendations into actions. 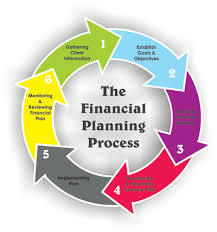 7) Check Ins- We encourage you to call any time you have questions as financial plans ... as well as life events ... are always changing. We'll pro-actively check in from time to time to ensure your financial service needs are being met.